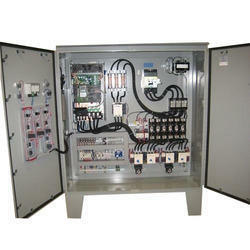 Manufacturer of a wide range of products which include electrical control panel board and control panel board. 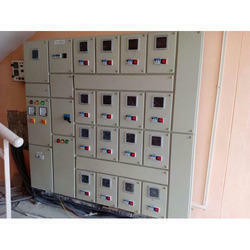 With diligence, our reliable and quality oriented organization has been engaged in providing Automatic Panel Board. It is used in various commercial, industrial and residential buildings. Owing to its automatic operation, it is highly demanded in the market. We use high quality raw material procured from reliable vendors of the market and ultra-modern machinery to design the offered product. Our customers can avail these boards at market cost effective price rates. We are the leading suppliers of Electrical Control Panel Board in Coimbatore, Mettupalayam,chennai,Salem, Tirupur, Pollachi, Trichy, Salem, Erode, Madurai, Tirunelveli , Chennai, Nagarkovil, Kanniyakumari,Tuticorin, Namakkal, Vellore,Theni, Dindugul, Ooty, Kunoor, Valparai, Kodaikanal, Kannur, Kozhikode, Malappuram, Palakkad, Wyanad, Kasargod, Kalpatia, Thrissur, Eranakulam, Iduki, Kootayam, Alapuzha, Kollam, Thiruvananthapuram, Bangalore, Tamilnadu, Karnataka, Andrapradesh, And Kerala. Being a quality centric enterprise of this domain, we are affianced in offering Control Panel Board. It is easy to install and used in various commercial and residential buildings for controlling or regulating the electrical power supply. This board is designed and developed using finest quality raw material and components by highly qualified and experienced technicians at our vast infrastructure unit. Client can purchase this from us at industry leading price. We are the leading suppliers of Control Panel Board in Coimbatore, Mettupalayam,chennai,Salem, Tirupur, Pollachi, Trichy, Salem, Erode, Madurai, Tirunelveli , Chennai, Nagarkovil, Kanniyakumari,Tuticorin, Namakkal, Vellore,Theni, Dindugul, Ooty, Kunoor, Valparai, Kodaikanal, Kannur, Kozhikode, Malappuram, Palakkad, Wyanad, Kasargod, Kalpatia, Thrissur, Eranakulam, Iduki, Kootayam, Alapuzha, Kollam, Thiruvananthapuram, Bangalore, Tamilnadu, Karnataka, Andrapradesh, And Kerala.